I was recently contacted by a reader of the site, Paula Hurst, to let me know that Martin was going to be remembered in a ceremony at his gravesite in Danville, Illinois on 21st April last. Having lain in an unmarked grave for 117 years, the Irishman was finally to receive a marker befitting his wartime service. Martin’s grave was discovered following an enquiry by Medal of Honor Historical Society researcher Ray Johnston to Machelle Long of the Vermilion County Clerk’s Office. 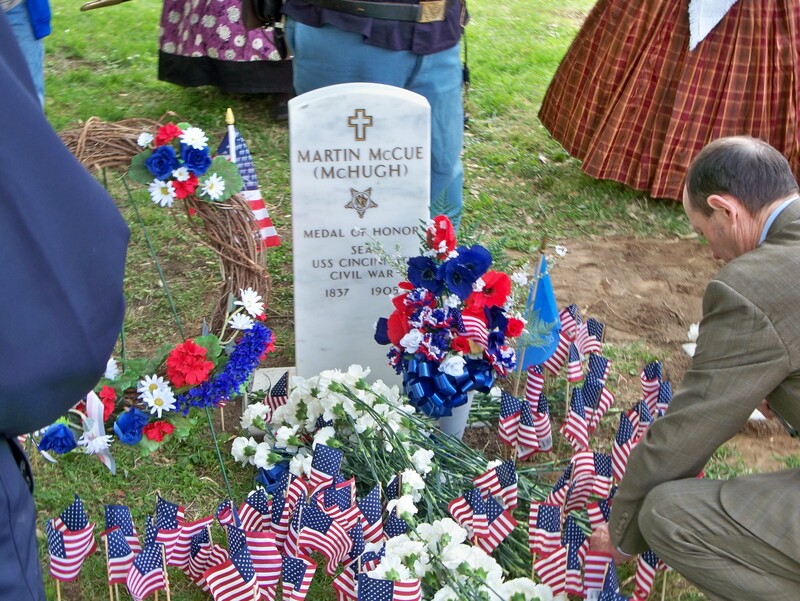 Ray is working to locate as many Medal of Honor burial sites as he can, and together with Machelle their efforts helped to identify Martin and his wife Catherine’s grave in Resurrection Catholic Cemetery. The Federal government supplied a marker for the site, and a ceremony was arranged to mark the occasion by Larry Weatherford. 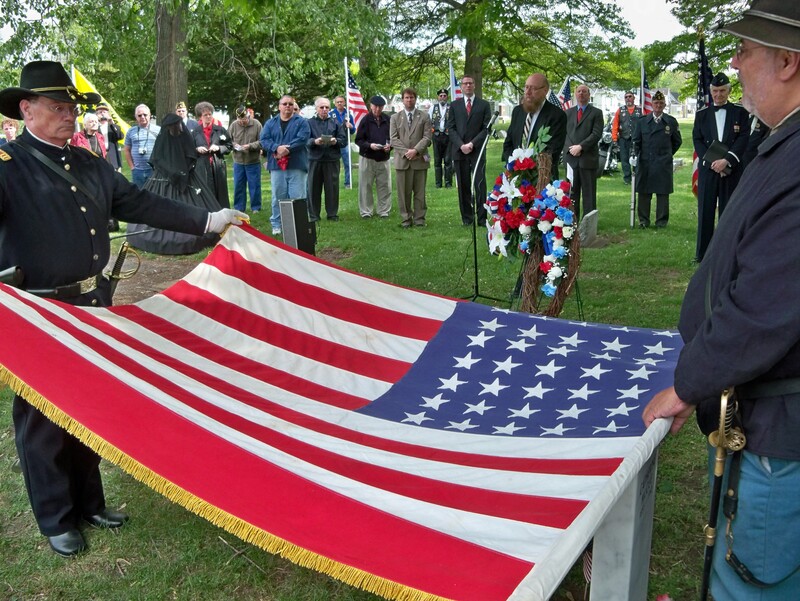 This consisted of a one hour memorial service at the Church, and a dedication at the graveside with speeches from the Mayor, County Board Chairman, State Senator and State Representative. The event drew to a close with a reception at the local war museum. The efforts of individuals like Ray Johnston and Machelle Long, combined with the dedication of the people of Danville, have helped this forgotten Irishman to be appropriately recognised. It is humbling to see such efforts taking place in the United States, particularly when the majority of these men remain little-remembered in the country of their birth. It is to be hoped that over the coming years this will change, and the example of the people of Danville will be followed in Ireland. *I am greatly indebted to Paula Hurst for alerting me to this ceremony and for supplying details of the event. Paula also kindly gave permission for her photographs of the dedication to be reproduced here. What a great post! 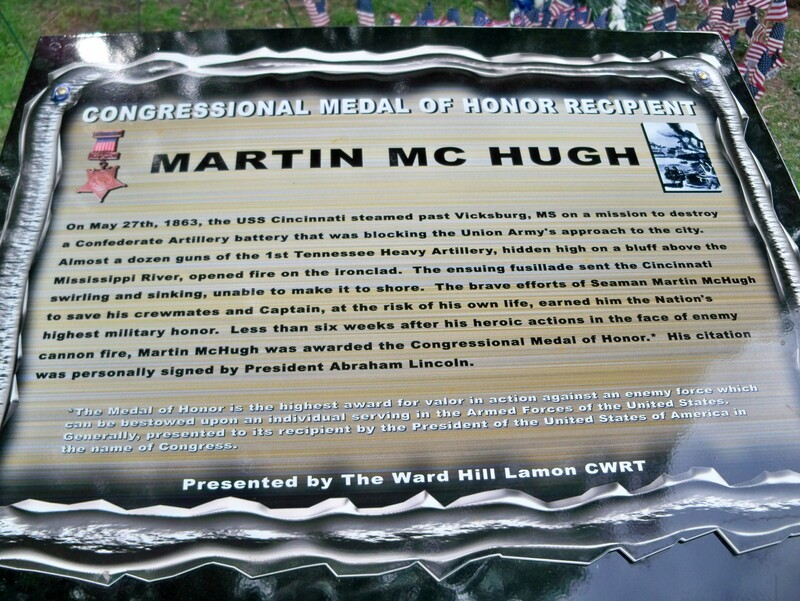 I am so glad to see Martin McHugh was finally remembered and given a grave marker. It is wonderful that there are people working to make sure these long ago heros are never forgotten. I wholeheartedly agree with you! It is a great achievement for the local community and everyone involved. As a veteran with Irish ancestry,and a proud tradition of service to the USA in my family,I am gratified to see this happen.Since immigrating to this country,the Irish and decendents have served proudly and faithfuly. 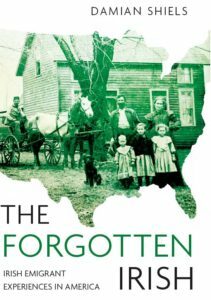 Many thanks for your comment- hopefully more Irishmen like Martin can be identified and similarly honoured in the future, both in the US and Ireland.